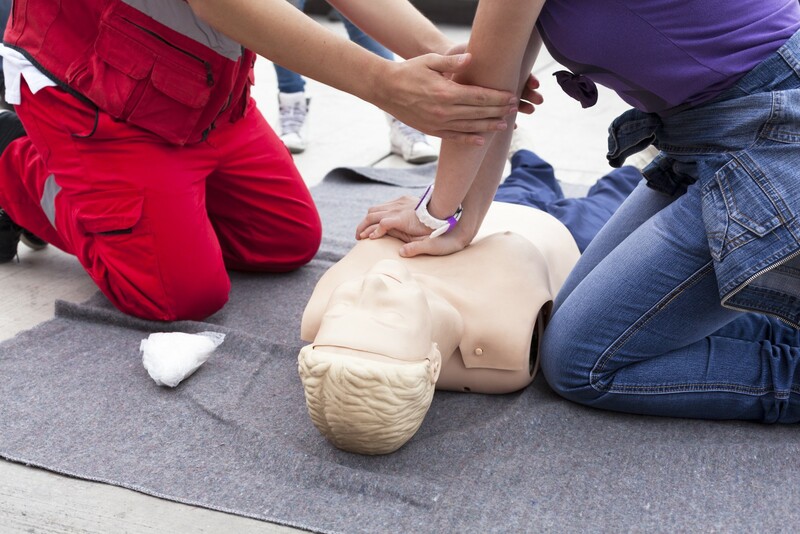 Breath for Life offers the Standard First Aid Course in the Northern Alberta Region. This two day Canadian Red Cross course, approved by OH&S, includes First Aid, CPR and AED training. This course focuses on Adult, Child and Baby CPR (Level C CPR) or Adult CPR (Level A CPR) and provides a comprehensive overview of emergency first aid situations. The CPR portion of this course includes AED training so that you may deliver this life-saving intervention when an AED is available. Please check the topics of this course. Certificate: The Canadian Red Cross will issue an e-certificate to your Red Cross user account (in-class details will be provided); Certificates are valid for three years. The instructor was very informative I highly recommend. Great mix of teaching and hands on learning. Excellent job! All instructors are good and experienced. Genius, best first aid course I’ve taken. Kept me interested throughout. Very knowledgeable and made course interesting. Excellent knowledge of the human body. It was great and I learned allot. The instructors were knowledgeable and awesome. I will definitely take another course with Breath for Life. Questions that instructors didn’t know was clearly admitted and research was done to answer before end of the course. Well done! Very pleasant and helpful. Amazing! You made learning fun. Amazing knowledge and kept it informative. First time in 25 years of getting first aid or recert it has been enjoyable. Thank you!! Very engaging. Excellent presenters. Better course than I’ve had elsewhere. Thanks. Excellent job, got allot of information and great help. Very informative. Excellent instructors. Dynamic and knowledgeable instructor. Good communicator and easy to listen to. Kept the class instruction informed and fun. Knowledgeable instructors and easy to listen to. Thanks it was great! Very interactive and knowledgeable of our industry. Very knowledgeable and fun to learn from! Thank you! Quite an eye opener and interesting course. I would recommend to anyone! Best First Aid experience ever!! Thanks for a great course! Not boring as previous courses I’ve taken. Great job, sense of humour, business style, straightforward, efficient. Nice clear facility! I enjoyed the with and humour, as well as the due diligence in rehearsing the skills. Overall, great job. I loved it!! The format was more interactive, which was great. Instructor explained why. Awesome! Really well put together and presented course. Way better class than 3 years ago with ** I would absolutely take another course with Breath for Life. Wonderful teacher! I learned allot in the past couple of days and had fun while doing so. Very interactive. Made the course interesting and showed lots of life experience that could be related. Most engaged and down to earth instructor I’ve had in 15 years of taking this course! This institute is a great place to take CPR! Thorough explanations; good examples;good use of humour; instructors have good rapport with each other and with class. Fantastic, well informed and made the 2 day course enjoyable. Excellent instructors who covered allot of material extremely well. Thank you!! Instructors clearly knew their material and presented it in an easy manner making it easily understandable. Good use of lecture and hands-on time. Great course! Professional knowledge of this course. Keep the humour makes remembering the information easy. Very enjoyable instructor, lively and interactive. Enjoyed the course because it was NOT boring! They were very knowledgeable and so far this class was the best CPR and First Aid class I ever had. You guys are excellent. 5 stars! Best ever training! My first time to take training here in Canada and its worth it! Instructor made the course that I was dreading- FUN, interactive and has encouraged me to learn more in these areas. Great instructing! Thank you! Instructor varied activities to engage participation ie. individual, and partner group and used humour appropriately. I will absolutely take another course with Breath for Life! Parking signage was great! Instructor was enthusiastic and encouraging. Very well presented. Broke up the instruction by having students participate. It was presented in a fun but with a serious side. Excellent job! Amazing! Great job, lots of help and answers to questions if required. Great course much appreciated. Best first aid instructors I’ve ever had. Personable and knowledgeable. I will take another course with Breath for Life because their classes are much more interesting and have better instructors. Thank you! All of the instructors I had did an excellent job. I was very engaged and enjoyed by time learning. Liked the real life experience stories, detailed description of medical conditions and the free-flow, yet time structured organization. Nice not having regurgitation of info from book. I will take another course with Breath for Life due to the method of instruction, ease of learning and understanding. Great job!! Very funny and made learning easy. Awesome Job! Very easy provider from first contact to book training on-site! Very well demonstrated. Instructors made it interesting and was very educational. Good course! It was a good mix of teaching and hands-on practice. I feel prepared to deal with things! Instructor is super funny and the stories were really helpful. I loved all the activities that helped keep me focused and awake.